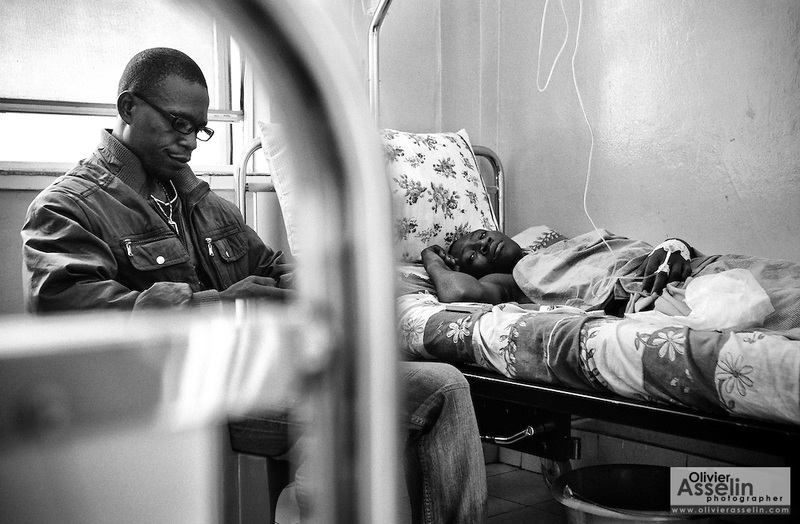 His father Alphonse sits next to Blaise Alonda, 19, who suffers from polio, at the Loandjili hospital in Pointe-Noire, Republic of Congo, on Saturday December 4, 2010. Blaise first started feeling ill almost three weeks ago. He was diagnosed and treated for malaria, but woke up unable to move his arms and legs the next morning.